After launching Moto c series smartphone, Today Moto has launched its fourth generation smartphone in E series at an event in New Delhi. The name of two new flagship smartphone is Moto E4 & Moto E4 Plus. You will buy Moto E4 Plus exclusively on Flipkart from 11:59pm IST on Wednesday itself. Alongside, the company confirmed the offline launch of the Moto E4 Plus in India, priced at Rs. 9,999. The main highlight of the Moto E4 Plus is its 5000mAh battery and this features makes this smartphone more powerful. It comes with a metal back with circular camera frame and antenna lines. The company has added Home Button in the front with fingerprint scanner packed underneath, and the volume and power keys are both situated on the right edge of the smartphone. It has 3.5mm audio jack is seen residing on top and the Moto E4 Plus has a water repellent nano-coating. Motorola is touting the One key Nav feature on the fingerprint sensor that makes easy to see recent application. 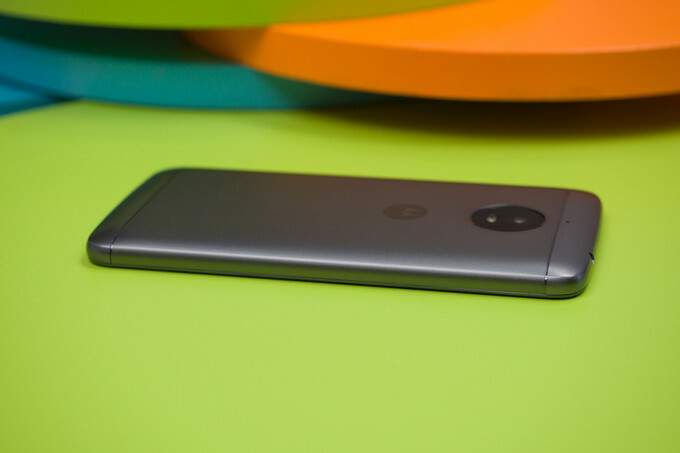 Lets talk about its features – Like most Moto smartphones, this one also offers stock Android interface and runs its latest Nougat (7.1.1) version. 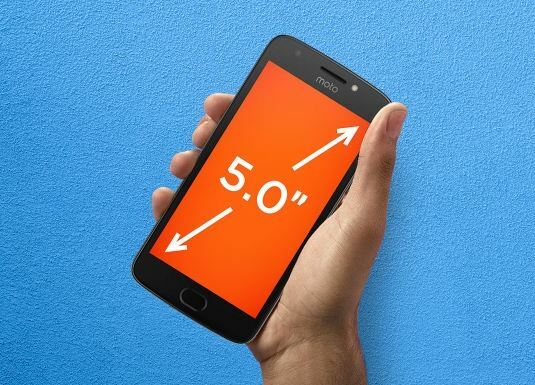 The unique selling point of the Moto E4 Plus is the 5.5-inch display, which to our disappointment, has a resolution of just 1,280x720p and pixel density of 267ppi. The Moto E4 Plus is powered by MediaTek MTK6737 processor clocking at 1.3GHz and paired with 3GB RAM. Internal storage stands at 32GB, which can be expanded to up to 128GB via microSD cards. 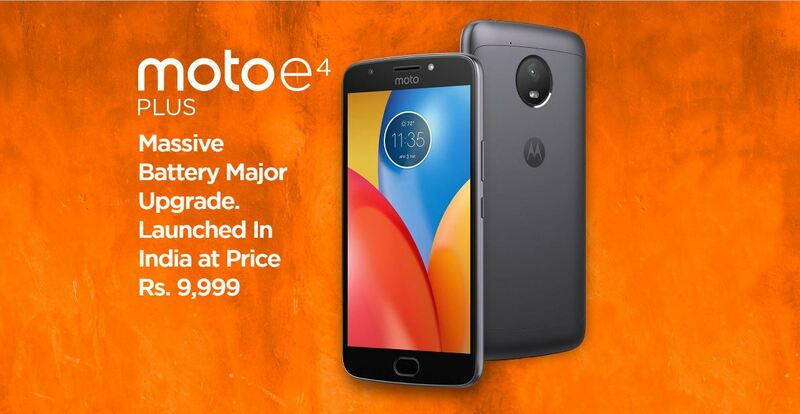 The Moto E4 Plus sports a 13-megapixel rear camera with an f/2.0 aperture and a single-LED flash module. On the front, it bears a 5-megapixel camera with an f/2.2 aperture and a single-LED flash module. The new Moto smartphone a slight edge over its other rivals in the budget segment are the separate card slots. The two nano SIM slots are placed separately from the microSD slot. 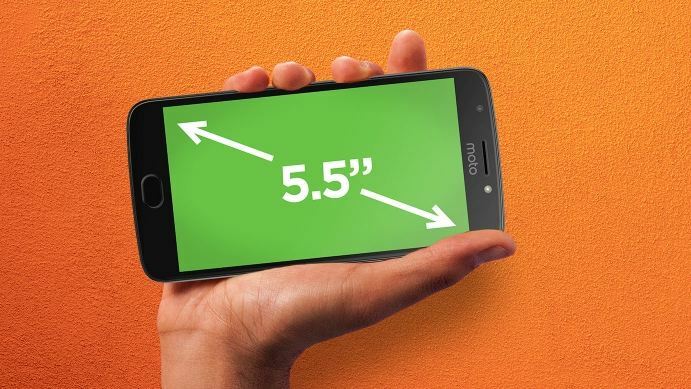 The Motorola Moto E4 comes with a 5.00-inch touchscreen display with a resolution of 720 x 280 pixels. The smartphone is powered by 1.3GHz quad-core MediaTek MTK6737M processor and it comes with 2GB of RAM. The phone packs 16GB of internal storage that can be expanded up to 32GB via a microSD card. 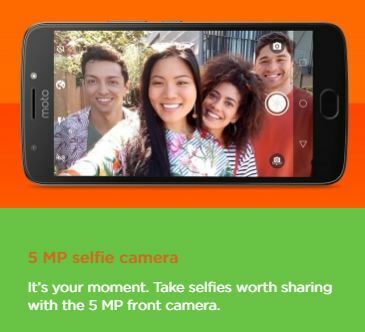 As far as the cameras are concerned, the Motorola Moto E4 packs a 8-megapixel primary camera on the rear and a 5-megapixel front shooter for selfies. The Motorola Moto E4 runs Android 7.1 and is powered by a 2800mAh removable battery. It measures 144.50 x 72.00 x 9.30 (height x width x thickness) and weigh 150.00 grams. The Motorola Moto E4 is a dual SIM (GSM and GSM) smartphone that accepts Nano-SIM and Nano-SIM. Connectivity options include Wi-Fi, GPS, Bluetooth, Headphones, 3G and 4G. Sensors on the phone include Compass Magnetometer, Proximity sensor, Accelerometer and Ambient light sensor. You will buy Moto E4 in retails Store and Moto E4 Plus on Flipkart at 11:59 PM Today.